We work with Federal, State, Local & Corporate Entities. 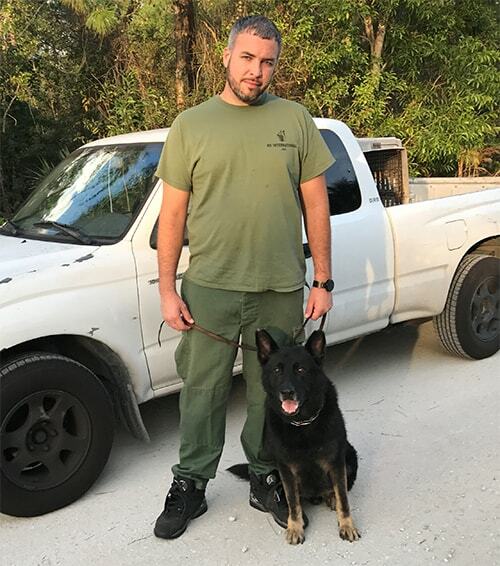 K-9 detection services provides a trained K-9 detection team or teams to governments or corporations for the purpose of security to the public, their employees, and clients. This service provides permanent or random drug detection for your company. We also work as a subcontractor in conjunction with other security firms. We specialize in the prevention of a disaster or illegal narcotics traffic. 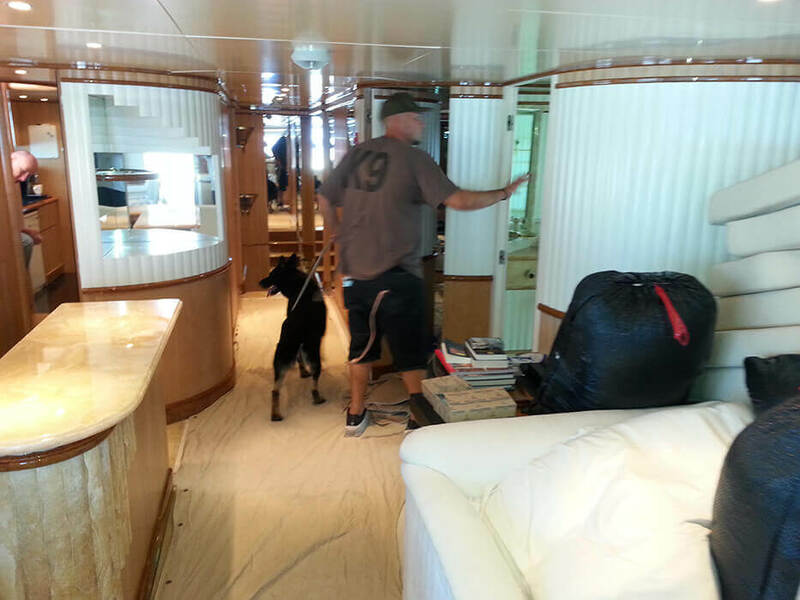 Our K-9 detection teams will travel domestically or internationally with our clients. We can be retained by federal, state, local, and corporate entities. 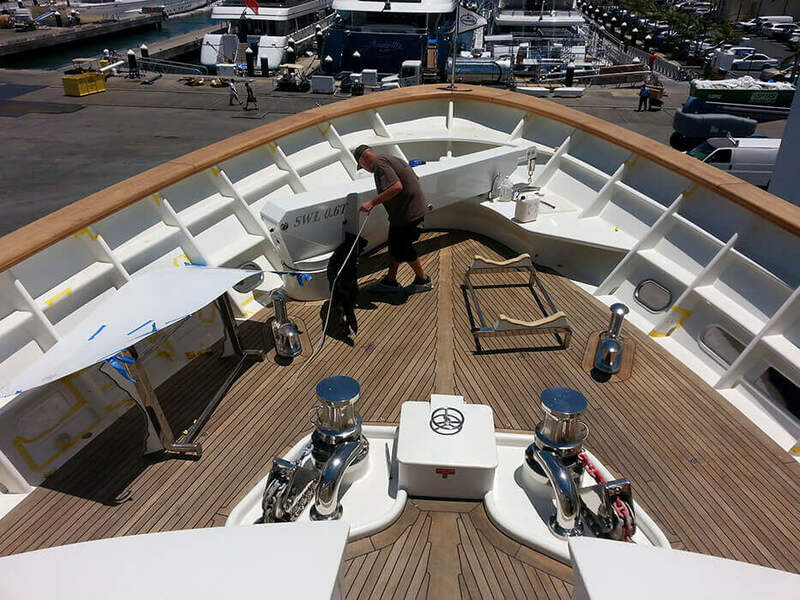 We work for the cruise ship and the import/export industry. 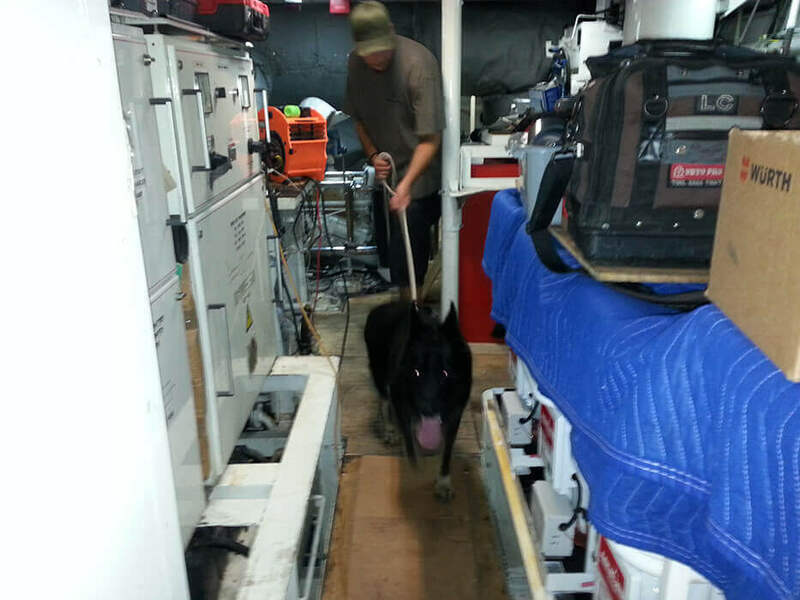 We stop illegal contraband of narcotics with our K9 narcotics detection teams. Our teams travel internationally with our clients. We specialize in securing cargo seaports from illegal contraband. 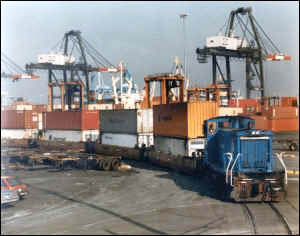 We work under contract on a year-round basis with cargo seaports. 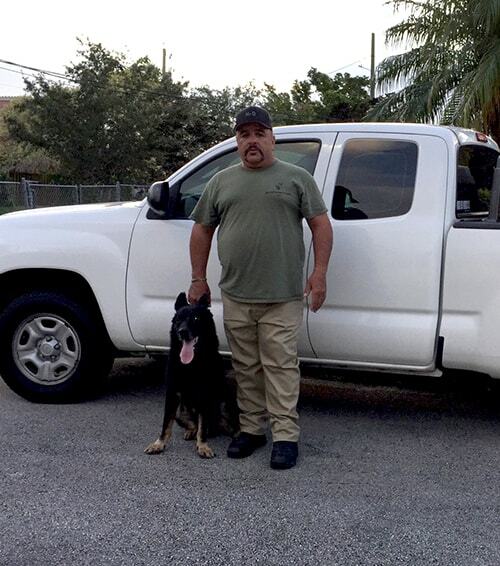 Please contact our security consultant at 305-978-5500. We will answer any and all of your questions pertaining to your security needs. Orlando, Tampa, Titusville, Port St. Lucie, Fort Pierce, Melbourne, West Palm Beach, Ft. Lauderdale, and Miami areas. North Miami, North Miami Beach, Miami Beach, Hialeah, Carol City, Liberty City, Miami Springs, Doral, Kendall, South Miami, South Miami Heights, Redlands, Homestead, Florida City. Deerfield Beach, Pompano Beach, Coconut Creek, Coral Springs, Tammarac, Weston, Davie, Lauderhill, Pembroke Pines, Miramar, Hallandale, Hollywood, Wilton Manor, Light House Point. Hudson, Springhill, Zephyr Hills, Land of Olay, San Antonio, New Port Richey, Brooksville, Lakeland, Dade City, Sebring, Weeki Waichee, Avon Park, Lake Whales. Meadow Woods, Williams Burg, Clermont, Lake Mary, Altamonte Springs, Oviedo, Maitland, Winter Park, Pine Hill, Lockhart, Forest City, Apopka, Lake Butler, Oak Ridge, Kissimmee, St Cloud, Davenport, Ocoee, Bay Hill, Doctor Phillips, Sky Lake, Oak Ridge, Belle Isle, Pine Castle, Azalea, Fair View Shore. South Africa, Algeria, Angola, Egypt, Ethiopia, Kenya, Zambia, Zimbabwe. Mexico, Belize, Nicaragua, Honduras, Costa Rica, Panama. Brazil, Colombia, Argentina, Chile, Peru.